The Amarilli Table Lamp From Elstead Lighting Is A Handmade Table Lamp Featuring Traditionally Forged Scrolls And Antiqued Oak Leaves. The Elstead Amarilli Table Lamp Is Dressed In Clear Glass Drops With Cut Glass Sconces And Is In A Black Silver Finish. 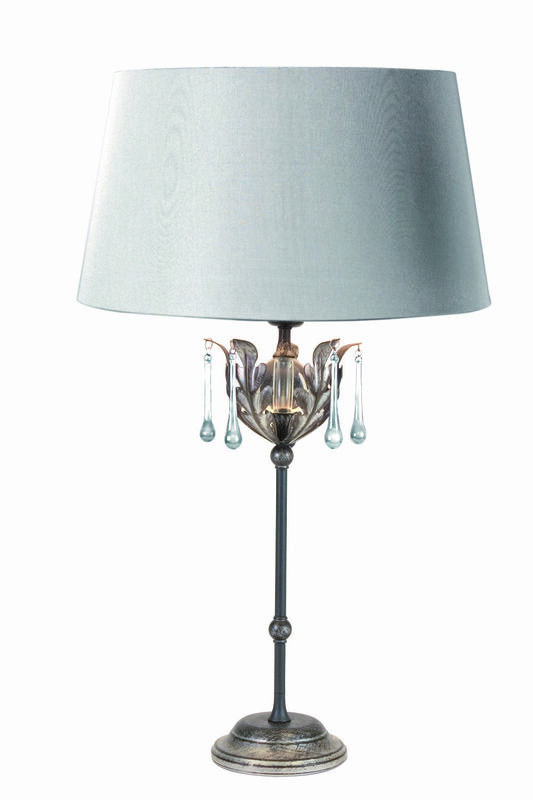 The Amarilli Table Lamp Is Supplied With A Complimenting Fabric Shade. 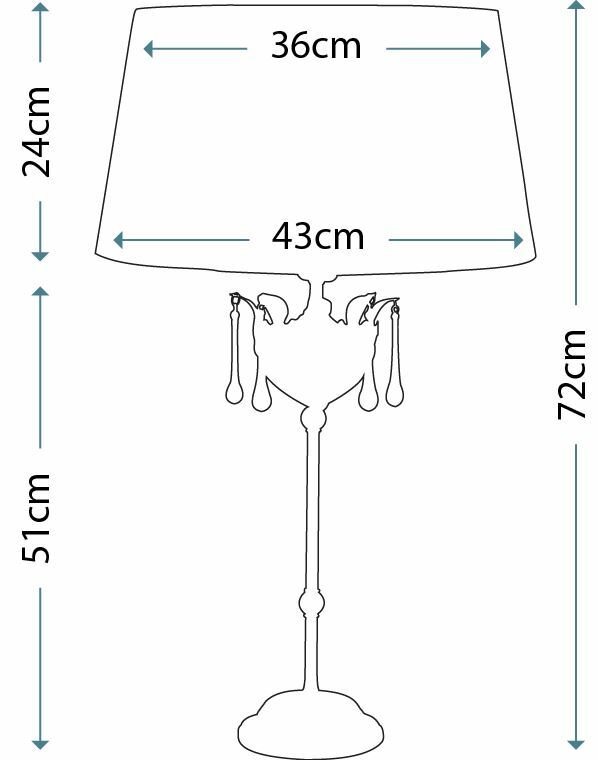 The Amarilli Table Lamp Is Hand Made In The UK, Manufactured At The Workshop Of Elstead Lighting.